Kelton Avenue: Winner of the Best San Carlos Street 2011 Contest! Almost hidden in White Oaks is a two-block street that connects Pearl Avenue to Cedar Street. However, it would be a mistake to dismiss this street for its size. The residents of this street embody the true spirit of what San Carlos is all about, and evidently many other voters believed the same thing. 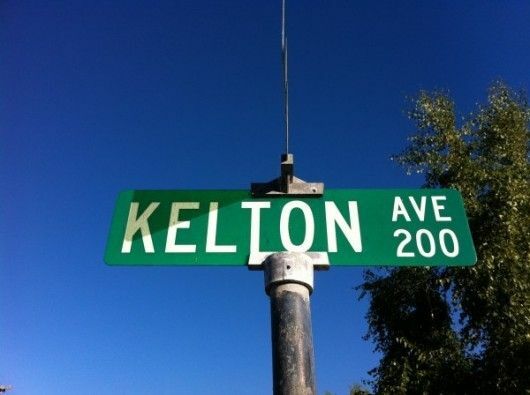 Congrats to Kelton Avenue for being voted the Best San Carlos Street 2011! Kelton had a tough bracket. It was able to fight off heavy hitters such as Sunnydale Avenue, Elizabeth Street and the surprisingly powerful Tamarack Avenue. It took down White Oak Way in the semi-finals, before taking care of the Howard Park favorite, Bay Tree Road, in the finals. Congrats to all of the San Carlos streets that participated and best of luck in 2012!